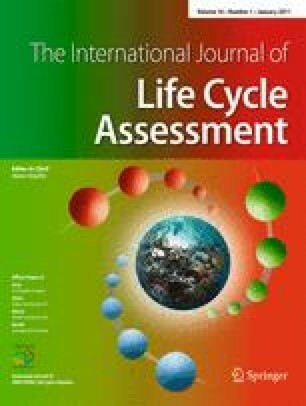 In spite of the increasing application of life cycle assessment (LCA) for engineering evaluation of systems and products, the application of LCA in the mining industry is limited. For example, a search in the Engineering Compendex database using the keywords “life cycle assessment” results in 2,257 results, but only 19 are related to the mining industry. Also, mining companies are increasingly adopting ISO 14001 certified environmental management systems (EMSs). A key requirement of ISO certified EMSs is continual improvement, which can be better managed with life cycle thinking. This paper presents a review of the current application of LCA in the mining industry. It discusses the current application, the issues, and challenges and makes relevant recommendations for new research to improve the current situation. The paper reviews the major published articles in the literature pertaining to LCA methodology as applied in the mining industry. The challenges associated with LCA applications in mining are discussed next. Finally, the authors present recommended research areas to increase the application of LCA in the mining industry. The literature review shows a limited number of published mining LCA studies. The paper also shows the variation in functional unit definition for mining LCA studies. The challenges and research needed to address the problems are highlighted in the discussions. The limited number of mining LCAs may be due to the lack of life cycle thinking in the industry. The paper, however, highlights the major contributions in the literature to LCA practice in the mining industry. This paper discusses the lack of LCA awareness and tools for mining LCAs, issues relating to functional unit and scoping of mining product systems, defining adequate and appropriate impact categories, and challenges with uncertainty and sensitivity analysis. The authors recommend that future research focus on the development of a mining-specific LCA framework, data uncertainty characterization, and software development to increase the application of LCA in mining. LCA presents beneficial insights to the mining industry as it seeks to develop world-class EMSs and environmentally sustainable projects. However, to take full advantage of this technique, further research is necessary to improve the level of LCA application in mining. Major challenges have been identified, and recommended research areas have been proposed to improve the situation. The paper outlines the benefits of increased application of LCA in the mining industry to LCA databases and all practitioners. It is recommended that additional research be undertaken through industry–academia partnerships to develop a more rigorous mining-specific LCA framework. Such a framework should allow for sensitivity and uncertainty analysis while allowing for suitable data collection that still covers the temporal and spatial dimensions of mining. Research should also be carried out to develop objective ways of characterizing the uncertainty introduced in a LCA study due to the use of secondary data (emissions factors) from prior studies. Finally, new software or GUIs that address the peculiarities of mining should be developed to help mining professionals with basic LCA knowledge to undertake LCA studies of their systems and mines.